We provide our clients with regular updates on changes in taxation regulation, news from the world of accounting and, of course, information about the latest developments at Philip Gale & Co.
From April 2018, the personal allowance for income tax will rise to £11,850 and the basic rate band will be extended so that higher rate tax will start at taxable income of £46,350. The national living wage will rise to £7.83 from £7.50 from April 2018. A package of additional funding and amendments will be applied to Universal Credit. 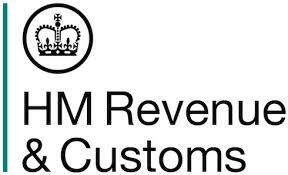 VAT registration threshold will remain at £85,000 for at least the next two years. Rises in business rates will be pegged to CPI rather than RPI. Additional funding for electric vehicles and other technology. Stamp duty abolished on first £300,000 for first time buyers. Additional funding for the regional investment and the transformation of major ciites. More housing and planning reforms. The new three-year NS&I bond will offer a return of 2.2% a year on savings up to £3,000. Have you received a letter from The Pension Regulator? Don't ignore it. You probably need to do something and could be fined if you don't. Call us to check. All employers are faced with the introduction of staff pension auto enrolment. The compliance based with the introduction of auto enrolment for small employers is a real headache and there are penalties for getting it wrong. We can help you with auto enrolment and have a range of alternative approaches each one designed to make sure you get it right. We work with NEST and other providers. Tip: Make sure you know your staging date and then don't leave it until the last minute. Want to get started now? Click here. Otherwise, please get in touch for further information.